We dispatch vehicles from 8am-2am daily. * We'll operate 24/7 (with advanced notice). or $10/passenger (each-way) between towns. * minimum charge of 3-5 passengers, determined by which town. * minimum charge of 3-5 passengers, determined by which town(s). ~ $4/mile for 7 passenger SUV. ~ $4.50/mile for 10 passenger Ford. ~ $5/mile for 12 passenger 4x4 Sprinter. ~ $5.50/mile for 14 passenger 4x4 Sprinter. or ~ $140-$160/hour (vehicle dependent). * contact us for an exact quote when exceeding Summit County limits. See our Shuttle Rates Page for the exact cost of your specific service. We'll transport you and up to 14 of your friends (per vehicle) anywhere, anytime. ​We offer an infinite variety of custom pick-up and drop-off services + locations. ​​​Can't find a Taxi or an Uber? We've got you covered. All taxes are included. Drivers are accustomed to some gratuity. We don't have a meter, so there are no surprise charges. We will gladly go Anywhere in the State of Colorado, Anytime! 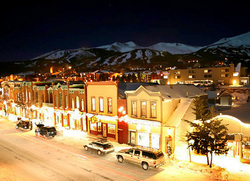 Denver, Fort Collins, Glenwood Springs, Georgetown, Telluride, Wolf Creek, etc. ​Call 970-401-0988 to book or visit our Reservations page. If you find yourself lost or stranded we can help! Three hours into a hike and found out you took a wrong turn, or in the middle of a trail ride and your bike breaks down? Call us and we will come save you! Want to have a fun night out without worrying about how to get home? We'll pick you up and drop you off anytime night or day. If you find yourself stranded in the wee hours of the morning call us. We often answer phones 24/7 and we'll get you home safe and sound.